Brown primer with a bit of a speckly blast of white for definition – It’ll all get covered anyway.. Reasonably happy with him considering its a while since I sculpted anything, I’ll just have to see how he paints up. 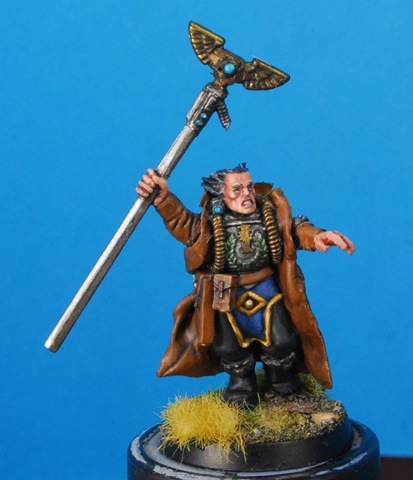 Games Workshop, You Confuse me. Midweek terrain contest/raffle Heads up! (Over) A Week of blogging. 5 Year prize draw announcement!